Botox remains one of the most popular ways of treating facial wrinkles, but that doesn’t mean it’s necessarily the right option for you. The cost, potential allergies, side effects, a fear of needles, and the fact that it can’t be administered while you’re pregnant or breastfeeding are just a few of the reasons why Botox may not appeal to certain patients. Thankfully, however, there are a number of Botox alternatives that also help reduce the appearance of wrinkles and combat the signs of aging. A chemical peel is a cosmetic treatment that involves applying a chemical solution that removes dead skin cells to reveal the smoother, healthier skin that lies beneath. The exfoliative effect of the treatment stimulates collagen production and the growth of new skin cells to improve skin texture and tone. This can reduce the appearance of fine lines, small scars and minor sun damage. While there are a number of DIY products on the market, the best results typically come after using the services of a professional. Has a relatively mild effect but is the gentlest on your skin. Typically contains mild alpha hydroxy acids or beta hydroxy acids. Produces more dramatic results and can treat deeper skin flaws. Can be used on most skin types. Redness and swelling may be visible for approximately one week. Penetrates deep beneath the skin to deliver the strongest results. Not suitable for darker skin types. Side effects include swelling, itchiness and redness, which can last for a few weeks. No needles are involved. It is a completely non-invasive procedure. A chemical peel treats more than just wrinkles. It also helps with sun damage, scars, birthmarks and more. The procedure is quick. Treatment usually takes about 30-90 minutes, after which you can go home. Results can be dramatic and long-lasting. According to the American Society of Plastic Surgeons, the results of a deep chemical peel can last for up to 10 years. Doesn’t treat deep facial wrinkles. Treatment is fairly expensive. You can expect to pay $200-$300 for a superficial peel, $400-$1,000 for a medium peel, $2,500-$5,000 for a deep peel. Long recovery period from deep peels. While swelling usually disappears within two weeks, your skin may remain red for up to three months. Not suitable while pregnant or breastfeeding. 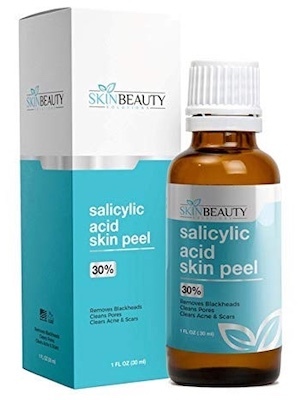 A high quality chemical peel that uses salicylic acid to exfoliate the outer layer of your skin and reverse skin damage caused by acne, blackheads, scars and sun exposure. 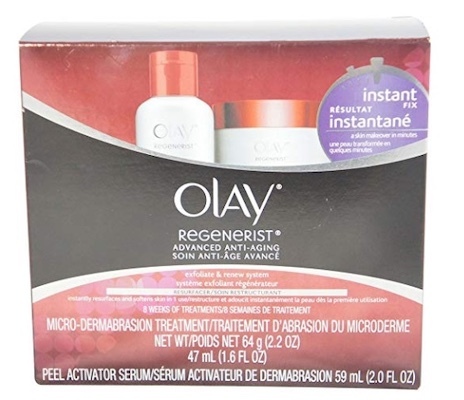 This product is particularly effective for patients with oily skin. This kit comes with everything you need to improve skin tone and reduce the appearance of fine lines and wrinkles. The Microdermabrasion Treatment helps remove dull skin, while the Peel Activator Serum resurfaces your skin’s texture. This product is gentle enough to be used twice a week and is suitable for all skin types. Widely recommended by the vast majority of users, Philosophy Microdelivery Peel uses lactic and salicylic acids to deeply exfoliate the skin, while vitamin C and peptides help stimulate new skin growth. Microneedling is a minimally invasive procedure that involves applying dozens of tiny needles to pierce the outer layer of the skin. Research shows that this stimulates the production of collagen, which helps fill in superficial wrinkles and improves skin tone, making it a good alternative to more invasive procedures. Microneedling can be done in the comfort of your own home. However, as with any cosmetic procedure, most people achieve better results by going to a cosmetic professional. Non-invasive treatment with minimal downtime. Relatively low risk of hyperpigmentation. The effects are more subtle than some other treatment options. Results are not immediately visible. Many patients require three to six treatment sessions, spaced roughly one month apart, before noticing any difference. Designed to be safely used at home, the Stacked Skincare Micro-Roller boasts 0.2 mm needles that gently micro-exfoliate the top layer of the skin to create a more youthful complexion. Featuring 0.30 mm needles, the Linduray Skincare Derma Roller Kit is a great entry level product for newcomers to microneedling. The kit includes three free instructional e-books to help you get the best results. One of the most luxurious and feature-laden microneedling products on the market. 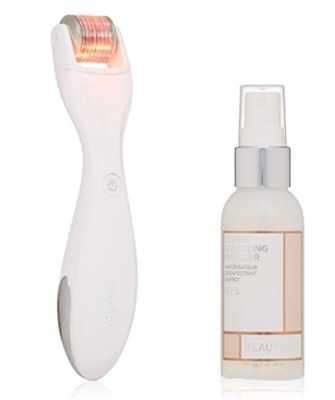 The Beauty Bioscience GloPro Microneedling Regeneration Tool features patented needles, LED lights and vibrating effects that work in synergy to rejuvenate the skin. Can be applied in minutes as part of your daily skincare routine. Many hypoallergenic options for people with sensitive skin. Some products are suitable for use while pregnant or breastfeeding. Creams containing retinoids, salicylic acid and beta hydroxy acid should be avoided. No single solution. A product that works for one person may not necessarily work for you. Facial creams are not closely regulated by the Food and Drug Administration (FDA) nor subjected to the thorough testing that medical products must go through. May take weeks to notice any improvement. Provides modest results. May be good for general skin health but can’t really treat facial lines. 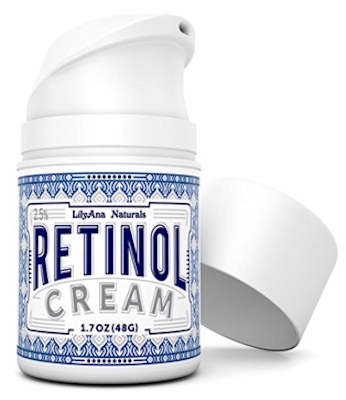 Designed for daily use, LilyAna Naturals Retinol Cream Moisturizer is a retinol cream that comes packed with a range of organic ingredients, including vitamin E, green tea, hyaluronic acid and more. 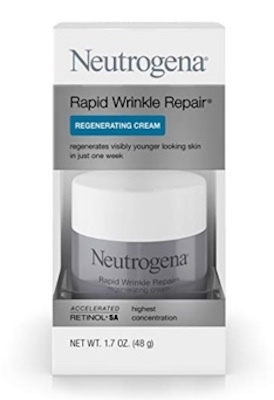 Neutrogena Rapid Wrinkle Repair is specifically designed to target wrinkles. This product features a unique formula comprised of Retinol SA, glucose complex and hyaluronic acid, which work together to reduce the appearance of fine lines and protect your skin from sun damage. 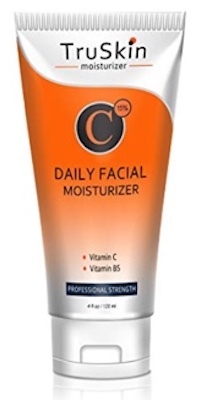 A very popular product that uses vitamin C as well as vitamin E and hyaluronic acid to treat the signs of aging. Users report brighter, fresher skin, improved skin tone and less visible fine lines. Most commonly used in pain management, acupuncture is becoming an increasingly popular way of treating wrinkles. It works by using dozens of fine needles to promote blood flow, which hydrates the skin and increases facial elasticity, thereby reducing the appearance of wrinkles and fine lines. Completely natural. No chemicals are injected or applied to the body during any part of the procedure. The holistic nature of acupuncture means the treatment can improve your overall wellbeing in addition to treating wrinkles. There are limited studies on the cosmetic effects of acupuncture. Its effectiveness in treating wrinkle is still not fully understood. May need 10+ treatments spaced 4-8 weeks apart to see results. Not suitable for people with bleeding disorders or uncontrolled type 2 diabetes due to potential bruising. Ultrasound therapy has long been used to treat musculoskeletal issues, but you may be surprised to learn that it’s also gaining a reputation as an effective Botox alternative. It works by focusing ultrasound energy below the surface of the skin to promote collagen production, thereby tightening loose skin. Non-surgical, can be performed in your doctor’s office. FDA approved for use in the treatment of wrinkles above the brow, on the neck, under the chin and on the chest area. Results last for 18-24 months. Expensive. Treating a full face and neck can cost between $2,500-$5,000 or more depending on your geographic location. Carbon dioxide (CO2): Provides more dramatic results but requires longer recovery time. Better suited to fair skin types. Erbium: Mostly used to treat superficial blemishes. Works on most skin types and requires less downtime after treatment. Provides long-lasting results of about one to three years. Can improve the appearance of scars, sun damage and discoloration in addition to treating wrinkles. Reduces the size of enlarged pores, which can improve skin tone and texture. Can be painful depending on the treatment area and your sensitivity to pain. Treatment involves downtime. Deep laser treatments such as ablative lasers may require a few weeks of recovery. Better suited to people with lighter skin due to their lower risk of discoloration. Increased sun sensitivity for up to one year. Botox might be the go-to treatment for dealing with wrinkles, but it’s far from your only option. There are many at-home and professional anti-wrinkle treatments that vary quite significantly in effectiveness, price and recovery time. Ultimately, the best treatment option depends on your unique anatomy and cosmetic goals. Get a professional opinion by using the Zwivel doctor search tool to find an experienced cosmetic provider in your area.